Burdock is a name that refers to a number of plants from the genus Arctium, but is more specifically used to describe Arctium lappa, also known as Greater, or Edible Burdock. The Burdock root is eaten as food, particularly in Asian cuisines, and the roots, leaves, fruits and seeds have a long history of use in traditional medicine, where they have been used to treat a variety of ailments. Like many plants used in traditional medicine, the potential therapeutic benefits of Burdock have piqued the interest of western science. Arguably Burdock's biggest claim to fame, at least amongst trivia buffs, are its prickly heads, which are said to have been the inspiration for velcro. The plant is otherwise known for its dark green leaves which feature wooly fibres on their underside and grow up to 70cm in length. Where does Burdock come from? Burdock is endemic to Europe, Northern Africa, and Asia, but it now grows in most parts of the world, including Australia. Many herbal medicine traditions recognise therapeutic benefits in Burdock, These are numerous and varied. Burdock is seen as a detoxifying agent in both Chinese and Western traditions. It is thought to purify the blood, and there is some evidence of a protective role against heavy metal toxicity (1). It is also said to enhance the function of organs involved in detoxification, like the liver, digestive and urinary systems, and the skin. There is some support for a role in the prevention of toxin induced liver damage (2,3), it has diuretic activity, and it may play a protective role against stomach ulcers (4). Burdock is rich in inulin, which assists digestion physically, and as a prebiotic, inulin from burdock has been found to promote the proliferation of beneficial Bifidobacterium species in the gut. 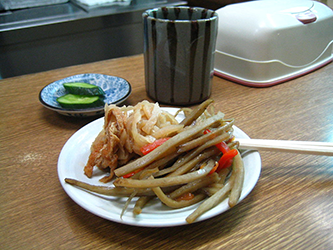 There is also some evidence that burdock can assist fat loss (5). It has been shown to improve the cosmetic appearance of the skin, and assist in the treatment of acne, dermatitis and burns (6,7). Burdock has also been trialled, with hopeful results, in the treatment of serious, chronic diseases like diabetes, cancers, and AIDS (8). The majority of these effects are thought to be related to the fact that Burdock contains high levels of antioxidants, and has been shown the exert a potent anti-inflammatory effect (8,9). These properties make Burdock a highly attractive supplement for bodybuilders and other athletes to improve recovery after training, and for the maintenance of overall health. There have been a number of exciting claims about the properties of Burdock, but many of these are based on a small amount of research. Additionally, a lot of the research into Burdock has been conducted using animals. While this type of study is important because it directs the way subsequent research is approached, we cannot use these studies to draw valid conclusions about the effects of Burdock in humans. Anybody with a chronic condition, or who has concerns regarding supplementation, should discuss this with their doctor prior to using Burdock. Anecdotal evidence suggests a standard dosage to be about 2g of fresh Burdock root or equivalent, but it is often eaten in larger quantities as a food. 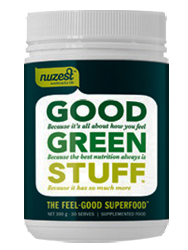 Because of its high antioxidant and fibre content, potential therapeutic properties, and its association with the macrobiotic movement, Burdock is commonly referred to as a 'nutriceutical', and most commonly appears in green or superfood supplements designed to support overall health, like NuZest's Good Green Stuff. As a supplement, Burdock goes well with other nutritionally dense, antioxidant rich food extracts, and a dried extract will give an extra health kick tto your protein shake or juice. (1) de Souza Predes F, da Silva Diamante MA, Foglio MA, Camargo CA, Aoyama H, Miranda SC, Cruz B, Gomes Marcondes MC, Dolder H. Hepatoprotective effect of Arctium lappa root extract on cadmium toxicity in adult Wistar rats. Biol Trace Elem Res. 2014 Aug;160(2):250-7. (2) Lin SC, Lin CH, Lin CC, Lin YH, Chen CF, Chen IC, Wang LY. Hepatoprotective effects of Arctium lappa Linne on liver injuries induced by chronic ethanol consumption and potentiated by carbon tetrachloride. J Biomed Sci. 2002 Sep-Oct;9(5):401-9. (3) Lin SC, Chung TC, Lin CC, Ueng TH, Lin YH, Lin SY, Wang LY. Hepatoprotective effects of Arctium lappa on carbon tetrachloride- and acetaminophen-induced liver damage. Am J Chin Med. 2000;28(2):163-73. (4) Dos Santos AC, Baggio CH, Freitas CS, Lepieszynski J, Mayer B, Twardowschy A, Missau FC, dos Santos EP, Pizzolatti MG, Marques MC. Gastroprotective activity of the chloroform extract of the roots from Arctium lappa L. J Pharm Pharmacol. 2008 Jun;60(6):795-801. (5) Li D, Kim JM, Jin Z, Zhou J. Prebiotic effectiveness of inulin extracted from edible burdock. Anaerobe. 2008 Feb;14(1):29-34. (6) Knott A, Reuschlein K, Mielke H, Wensorra U, Mummert C, Koop U, Kausch M, Kolbe L, Peters N, Stäb F, Wenck H, Gallinat S. Natural Arctium lappa fruit extract improves the clinical signs of aging skin. J Cosmet Dermatol. 2008 Dec;7(4):281-9. (7) Sohn EH, Jang SA, Joo H, Park S, Kang SC, Lee CH, Kim SY. Anti-allergic and anti-inflammatory effects of butanol extract from Arctium Lappa L. Clin Mol Allergy. 2011 Feb 8;9(1):4. (8) Chan YS, Cheng LN, Wu JH, Chan E, Kwan YW, Lee SM, Leung GP, Yu PH, Chan SW. A review of the pharmacological effects of Arctium lappa (burdock). Inflammopharmacology. 2011 Oct;19(5):245-54. (9) Lin CC, Lu JM, Yang JJ, Chuang SC, Ujiie T. Anti-inflammatory and radical scavenge effects of Arctium lappa. Am J Chin Med. 1996;24(2):127-37.